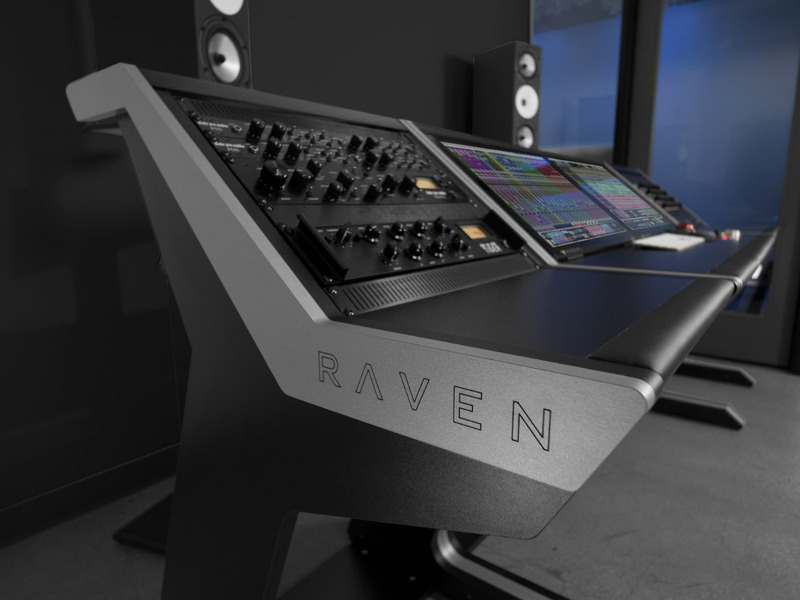 The RAVEN CORE STATION offers professional audio engineers with a complete production console ecosystem that is configurable to their needs with up to two world-class RAVEN touch panels, a Slate Control Monitoring system, an award-winning RAVEN software that turns all major DAWs into a world-class control surface. The CORE Station features a modular design that accommodates multiple configurations. Standard included components allow for single setup with a centered MTi2 or a dual setup housing two MTi2’s. 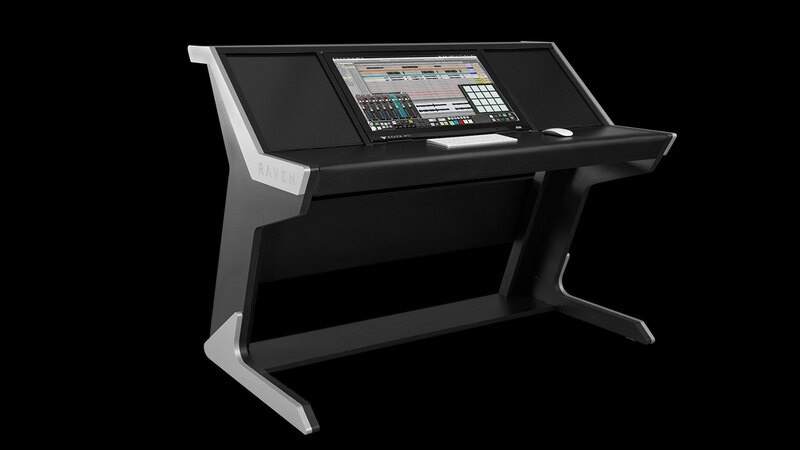 A 3rd configuration allows the user to pair a single MTi2 with a four rack space accessory panel which will be sold separately. 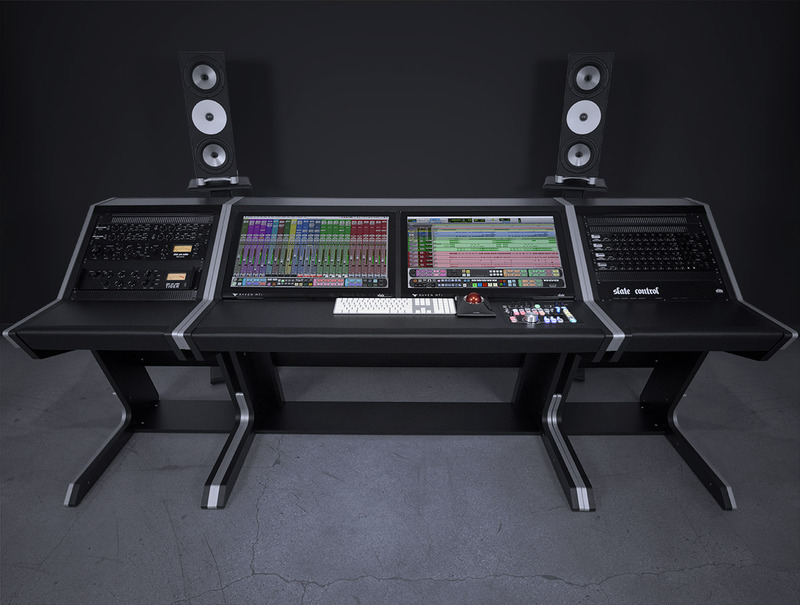 Each CORE Station desk includes a cutout for the Slate Control analog monitoring controller on the right-hand side. 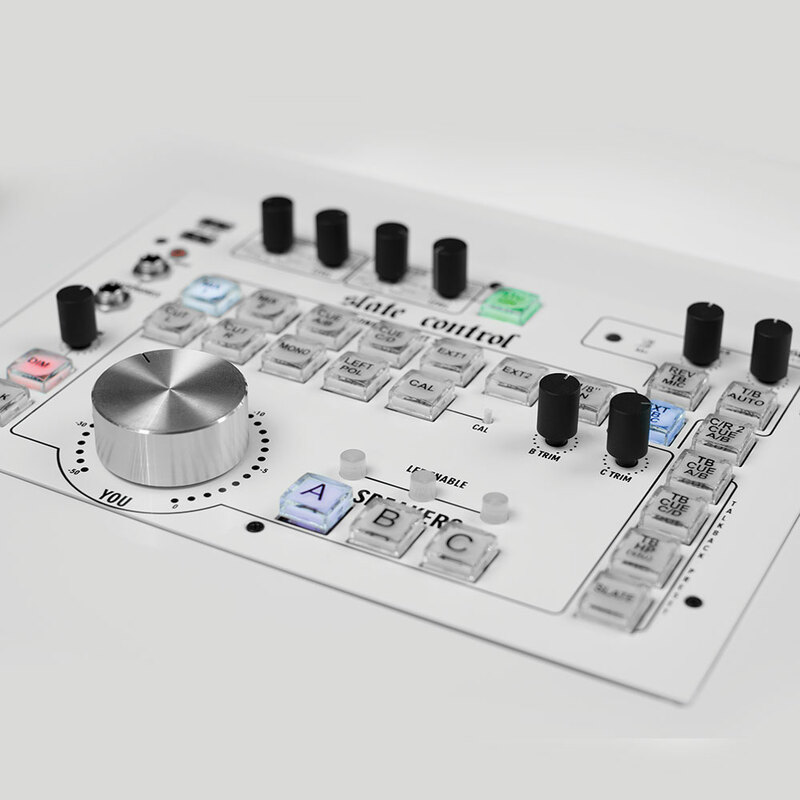 A blank plate is included for use without the Slate Control. 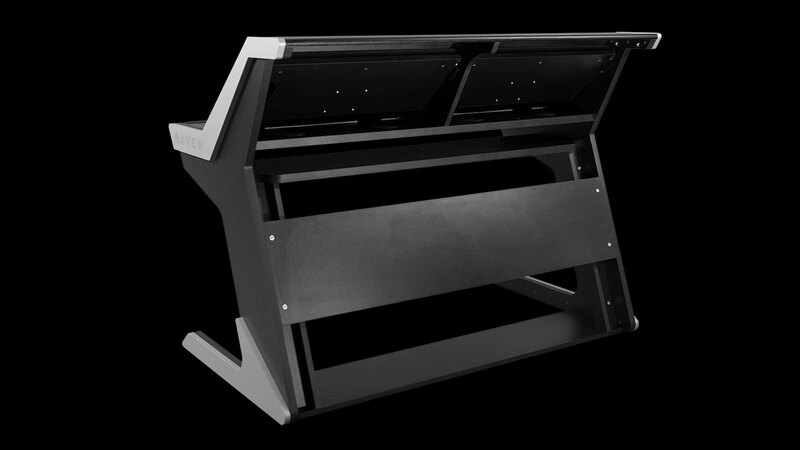 The CORE Station features a standard satin black finish with silver RAVEN side panels. The desk is a modular design and assembles with ease. 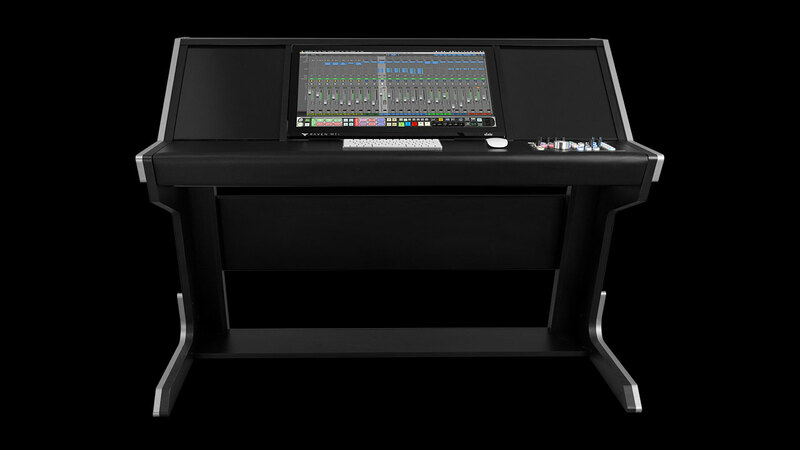 RAVEN 3.5 now adds customized multi-touch control of Ableton Live, Cubase/Nuendo, Digital Performer, Logic Pro X, Pro Tools 10-12, and Studio One V3 on Mac as well as Windows compatibility for Pro Tools 10-12, Cubase 8 & 9 and Nuendo 7. Elegant Hidden Cable Troughs For Cable Management From Desktop To Floor. *The sidecar rack accessory will carry an additional cost and will be sold separately. Contact your RAVEN dealer for more information. *35mm audio Jack for direct referencing from a device with 35mm headphone output (like a mobile phone or audio player). 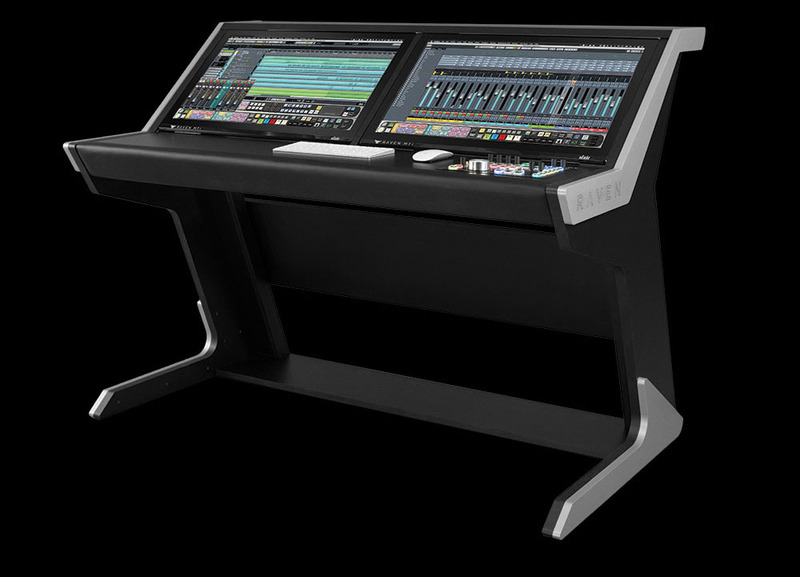 The RAVEN CORE Station Sidecar features a 9U space rack and leatherette armrests, perfectly matching the CORE Station profile. 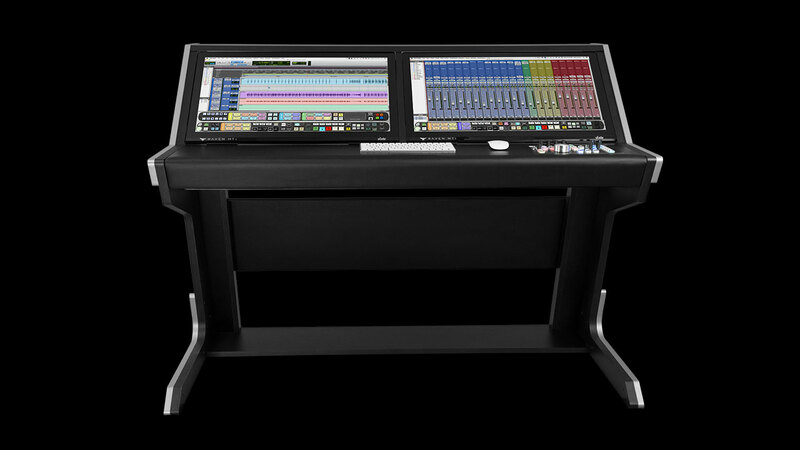 It fully complements the CORE Station giving your studio rack space for interfaces, monitor controllers, and any other rack-mounted accessories.